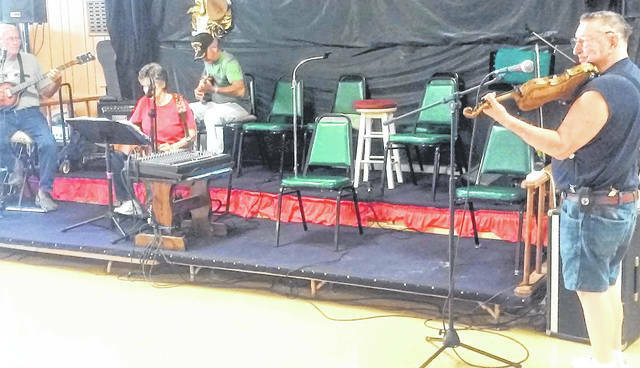 Members of The Sunshine Band perform at the Highland County Senior Citizens Center. Pictured, from left, are Larry Burnett, Peggy Walker, Gene Fetters and Howard Kelly. Office manager Debbie Vance and member services coordinator Kristie Finnegan are shown at the Highland County YMCA. The survey, conducted by the financial technology company SmartAsset, ranked Hillsboro at number 10 in that category. Nancy Avedisian is a member of the Highland County Senior Citizens and said she wasn’t surprised by the survey’s findings. Family ties and deep friendships made over the years are other reasons Avedisian gives for staying in the familiar confines of Hillsboro. The smiling face behind the desk at the senior citizens center belongs to Judy Stevens, and she agrees that Hillsboro is not only a nice place to live, but a great place to call home once a person retires. Stevens added one thing that makes the local senior citizens center unique is that it’s a non-profit enterprise, and therefore doesn’t take state or federal funds. In Stevens’ opinion, the reason Hillsboro placed so high in the survey has to do with the city’s history and culture. Companionship, activity and things for seniors to do are what the senior citizens center is all about, according to Stevens. “Turn off that TV, get out of that recliner and come down to the Highland County Senior Citizens Center,” she said. Debbie Vance, membership supervisor and office manager for the Highland County YMCA, offered the same advice. “We’re very senior friendly,” she said, pointing out the YMCA has group exercise classes, a fitness center, indoor walking track and much more in the line of “low impact” activity. One program the YMCA offers is called “Silver Sneakers,” a low impact activity geared to seniors that is sponsored by various insurance companies. Kristie Finnegan handles member services at the YMCA, and said the key for retirees is to stay active and involved. SmartAsset’s study found that overall, many of the best places to retire in Ohio are found in the northeastern part of the state, based upon taxes, available medical care, and recreation and social centers. Milford, in Clermont County, was the only nearby besides Hillsboro city that consistently placed in the top 10 when factors like senior-friendly taxes, doctor’s offices per 1,000 people, proximity to major hospitals, and overall percentage of retirees in the population was considered. https://www.timesgazette.com/wp-content/uploads/sites/33/2018/09/web1_Sunshine-Band.jpgMembers of The Sunshine Band perform at the Highland County Senior Citizens Center. Pictured, from left, are Larry Burnett, Peggy Walker, Gene Fetters and Howard Kelly. 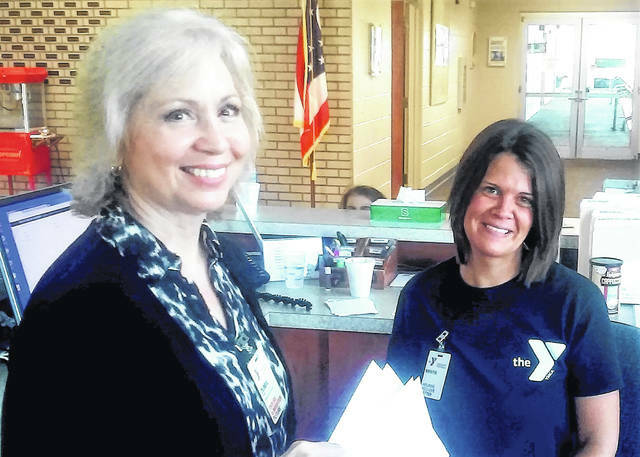 https://www.timesgazette.com/wp-content/uploads/sites/33/2018/09/web1_YMCA.jpgOffice manager Debbie Vance and member services coordinator Kristie Finnegan are shown at the Highland County YMCA.